North Korean nuclear capabilities, Chinese aggression in the South China Sea and the Islamic State of Iraq and Syria making inroads in the Philippines are the three major challenges facing the Pacific community, the commander of U.S. Pacific Command said at the 4th Japan-U.S. Military Statesmen Forum here yesterday. These are the threats that Pacom must face and adapt to as the pace of change in the region -- indeed the world -- increases, Navy Adm. Harry B. Harris Jr. said. 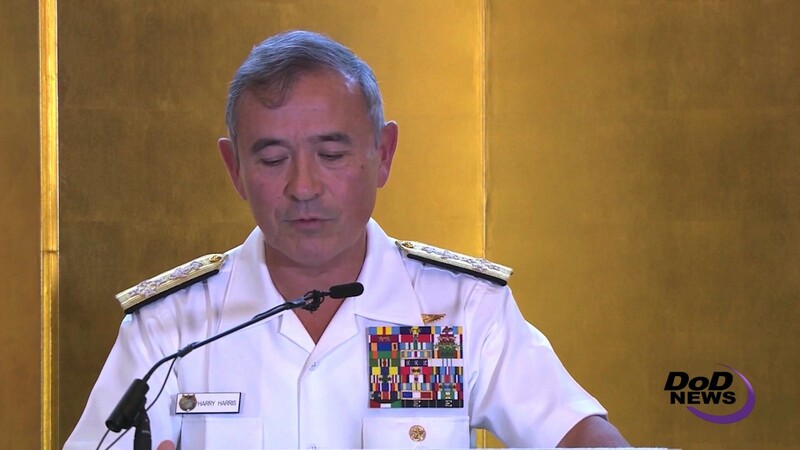 Japan’s ambassador to the United States Kenichiro Sasae, who hosted the event at his residence, and retired Navy Adm. Mike Mullen, former chairman of the Joint Chiefs of Staff and one of the leaders of the forum, both emphasized the need for stability in an uncertain world. Harris didn’t disagree and ticked off one-by-one the changes that prove this to be a volatile time in the region. He noted that in September, North Korea tested yet another nuclear device. On July 4, Kim Jong-Un successfully launched his first-ever intercontinental ballistic missile. Second, “China increased aggressive maneuvers in the East China Sea, and continued its unabated militarization of the South China Sea,” he said. Finally, he noted that earlier this year, ISIS proved it is a true global threat as violent extremist organizations banded together to occupy Marawi City in Mindanao in the Philippines. Two: America is and will remain a Pacific power and a Pacific leader. “Just as we have for the past 70 years, Pacom joint forces will maintain a robust and stabilizing military presence in the Indo-Asia-Pacific,” he said. North Korea now has an ICBM capability that can reach North America and Hawaii. 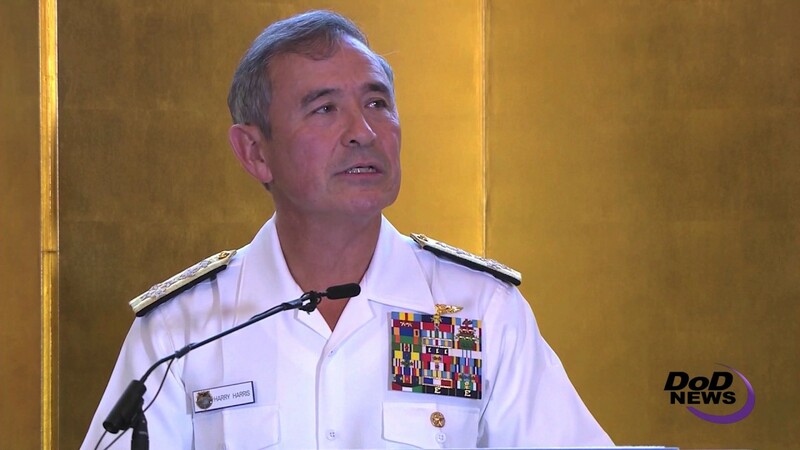 “While I don’t know if those missiles can hit what they’re aimed at, but like in horseshoes and hand grenades, getting close is all that’s needed when you’re dealing with nuclear weapons,” the admiral said. Harris expects North Korea’s capabilities to improve with time, so now is the time “to study and consider every possible step to increase the defense of our homelands with the best, most effective solutions possible,” he said. Harris also emphasizes multinational collaboration against a North Korean threat that endangers all nations. “This includes increasing trilateral cooperation between the U.S., Japan and South Korea -- a partnership with a purpose if there ever was one,” he said. The world needs Chinese help with North Korea, but China also must work to tone down its own aggressive behavior on the water and in the air, he said. While most of the interactions between U.S. and Chinese aircraft and ships are professional and safe, there have been instances -- this week in fact -- where Chinese pilots have acted irresponsibly and dangerously. For Pacom, the goal remains to convince China that its best future comes from peaceful cooperation and meaningful participation in the current rules-based international order. “But I’ve also been loud and clear that we won't allow the shared domains to be closed down unilaterally,” Harris said. Harris shifted to ISIS, calling the terror group a clear threat that must be defeated. The Middle East and North Africa are the main areas of conflict against the group, but it is trying to expand and is having some success in Southeast Asia. The U.S. is also supporting its Philippine ally. It just delivered two new Cessna-208 aircraft to the Armed Forces of the Philippines. “The aircraft will significantly enhance the AFP's counterterrorism operations with the capability to locate terrorist groups operating in Mindanao and the Sulu Archipelago,” Harris said. “While these bilateral activities are helpful, even better are multinational initiatives -- or ‘partnerships with a purpose’ as I like to call it,” he said. He noted recent exercises that brought together the United States, Japan, Australia and India.